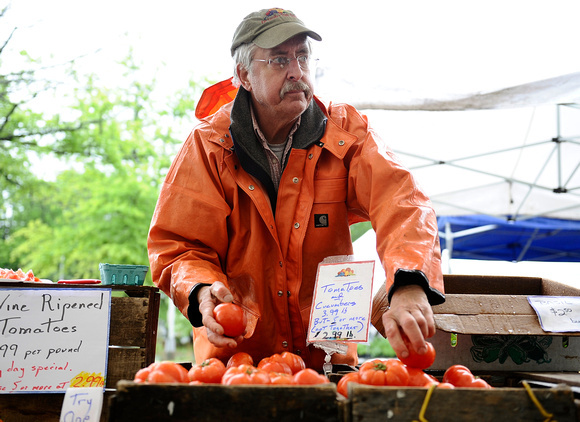 Whether you’ve heard him referred to as “The Greens Guy,” “The Salad Man,” or just Rob, chances are you will recognize him if you’ve been to the Pike or Bethesda markets. 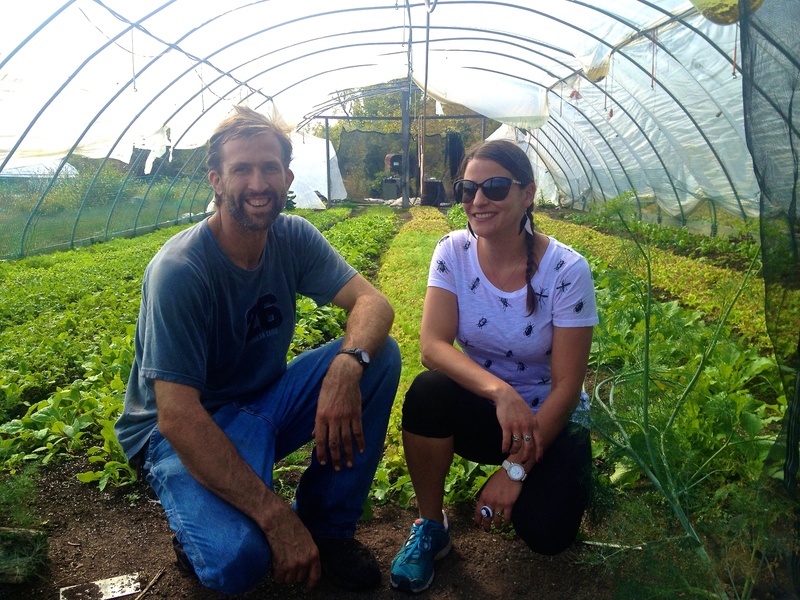 Rob Young is the owner of Young Harvests, a farm that specializes in leafy greens such as his famous salad mix, pea shoots, sorrel, arugula, and more. Many people who come to the market head straight to his stand to jump in line for fear their coveted greens will be sold out if they don’t get them quickly! So, why is there so much hype surrounding this burgeoning little business? I believe it has something to do with the amount of time, effort and research that Rob has put into making sure his carefully chosen crops grow successfully. For instance, Rob first feeds the soils food web and uses lots of composting worms to incorporate organic matter into the soil. This enhances nutrient cycling and the development of the soil in the most environmentally sound way. Rob is also always on the search for new seeds and is always open to suggestions to help maintain diversity as the seasons change. 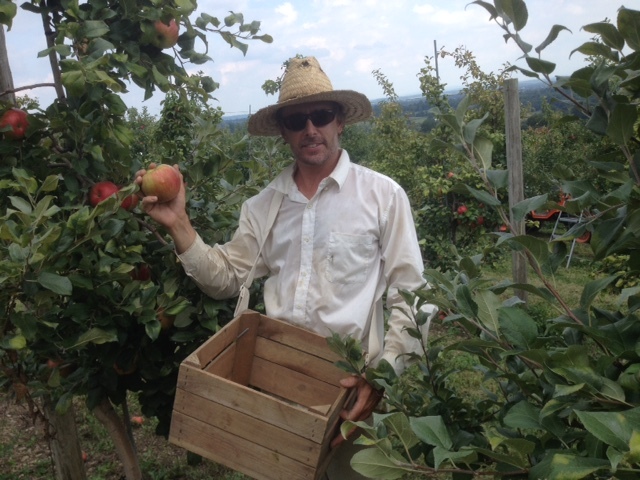 This is really his passion; making sure to use as many natural processes as possible to grow and tend to his crops. 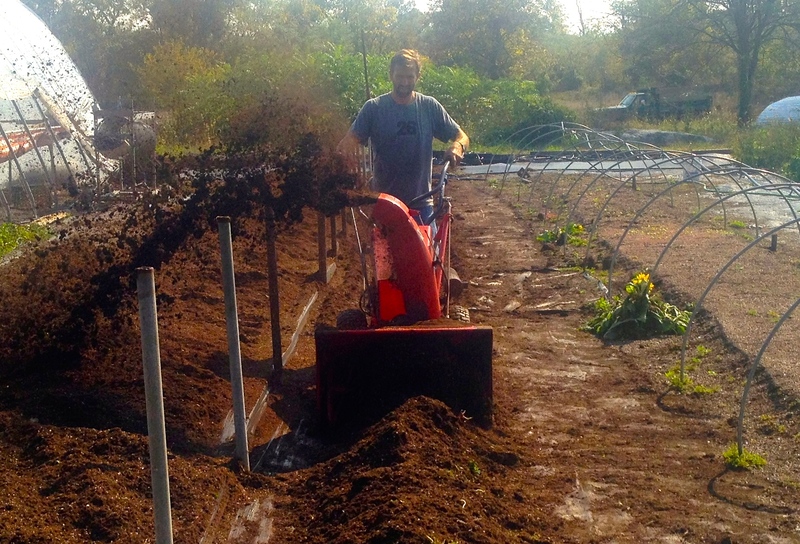 Rob’s farm is on seven acres that he leases from The Claymont Society for Continuous Education – a non-profit organization and intentional community that shares his ideals about sustainable farming and land development. Rob believes that the way to support our environment is by using its resources wisely, maintaining natural processes to provide the best growth and nutrition for plants, which translates into benefits for you. Rob lives on the farm with his wife, Annie, and their two-year old daughter, Jovina. He has many helpers on his farm- three of them are residents at Claymont who work on Rob’s farm during the week. The entire farm has an air of family and community. 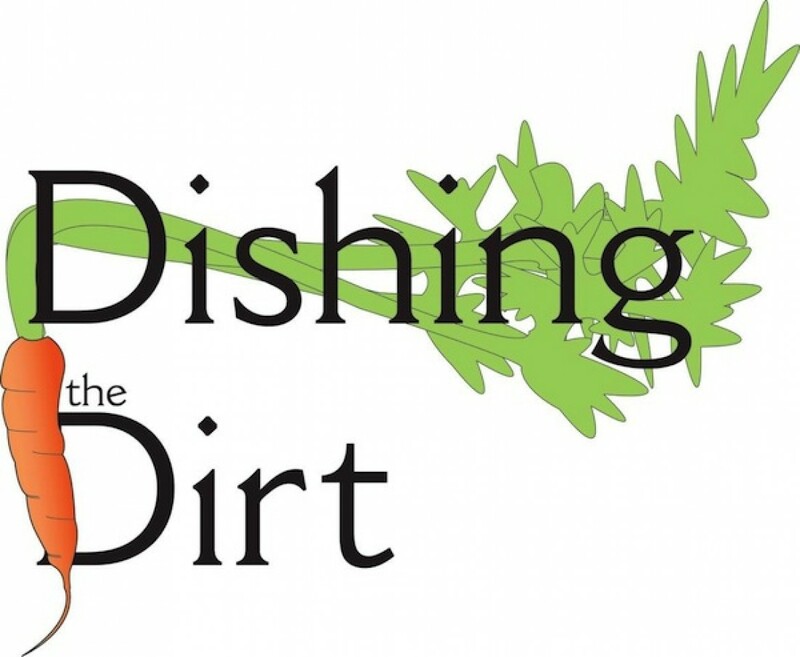 You can tell they all love the land they work and that they want to make sure that people who are eating their produce get the freshest, highest quality greens. So if you haven’t had the pleasure of meeting Rob, stop by his tent at Pike Central or Bethesda Central. He and his associates are always ready to chat with you about salad, help you decide on the correct leafy green for any dish, or talk about the farm. 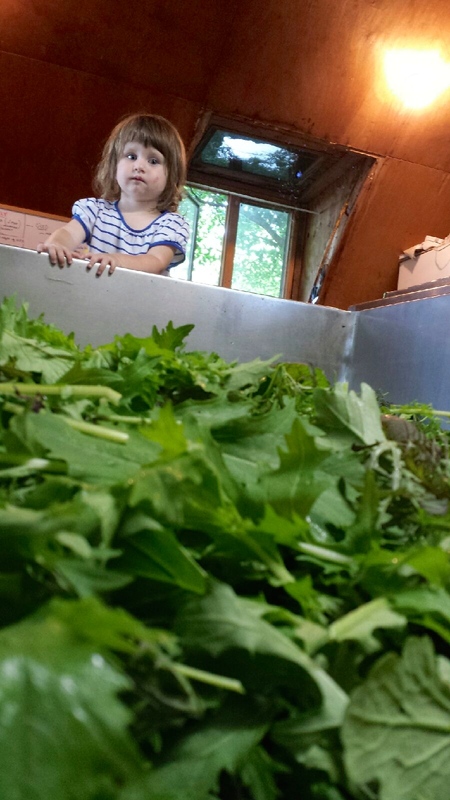 Once you taste these greens, you’ll understand why the lines are so long and the loyalty runs so deep at Young Harvests. We’ve all heard of the phrase “living in a bubble” when it comes to someone with severe allergies. When TaMeisha Norris had her twin boys a few years ago, she soon discovered they were allergic to milk, soy, and some legumes and their cousin was allergic to eggs and nuts. Having always been an avid baker, TaMeisha knew that she would have to change her baking habits to continue her passion in a safe and healthy environment for her family. 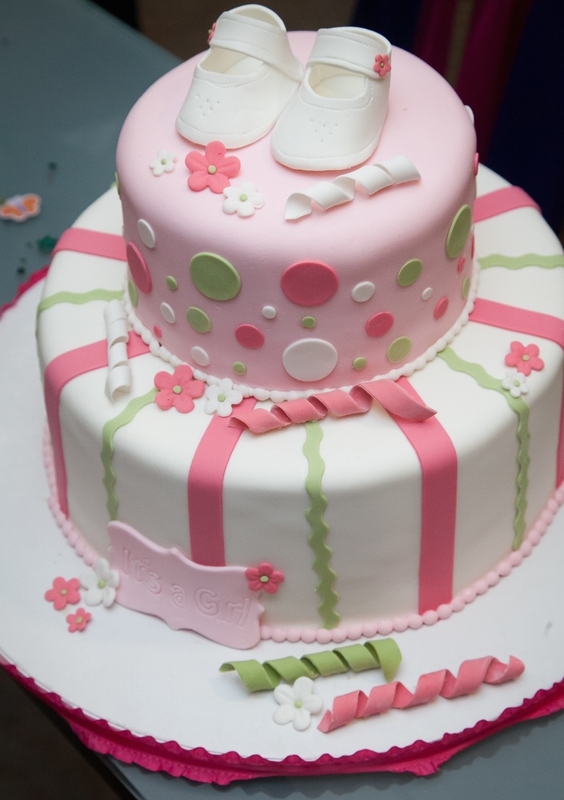 For the twins’ first birthday, she really wanted to make a cake that would be edible for all allergic guests, yet still delicious for everyone. This was the beginning of her quest that led to the start of her company, Out of the Bubble Bakery. 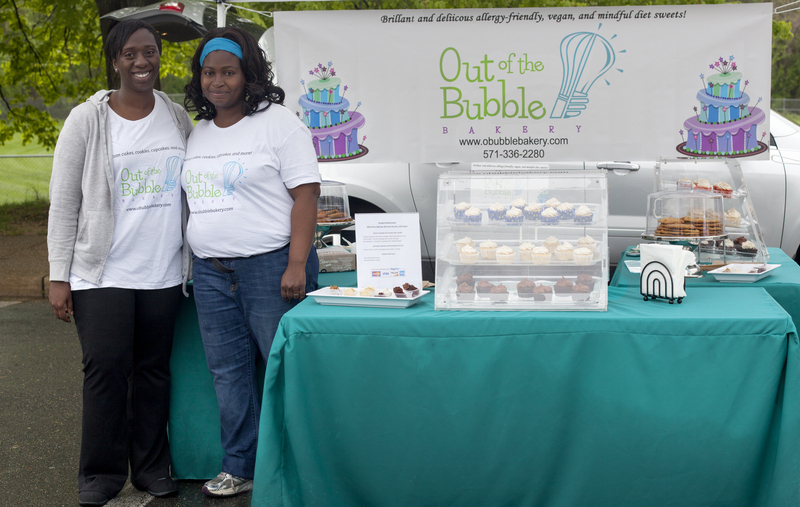 Out of the Bubble Bakery became official in 2012 when TaMeisha quit her job to work on her baking and stay at home with the twins- it was too risky to put her severely allergic kids in daycare. Soon, her sister moved in to help with the business and things started to take off! Orders came in weekly for TaMeisha’s allergy-friendly treats. TaMeisha prides herself on taking extreme care when selecting and using ingredients. Not only is it important as a baker for those with “mindful diets,” but it also made sense to her as a consumer to make sure that the ingredients were as organic, fair-trade, and healthy as possible. She gives the option of using all-natural food colors in custom cakes, organic fair-trade chocolate, and an Non-GMO gluten-free flour blend and fresh-ground wheat flours from a mill in Pennsylvania. It is her job to make sure she is being as responsible as possible when catering to people who have dietary or religious restrictions. 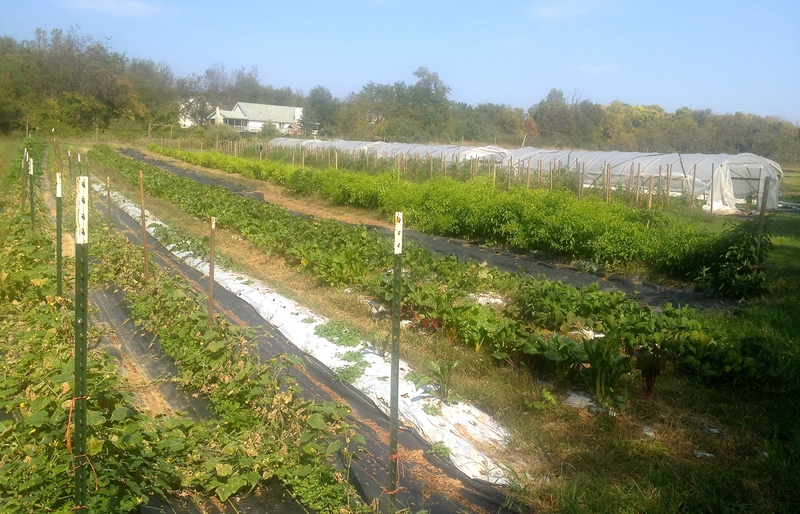 The desire to come to the Mosaic Central Farm Market was born from a deeper desire to expand the business. 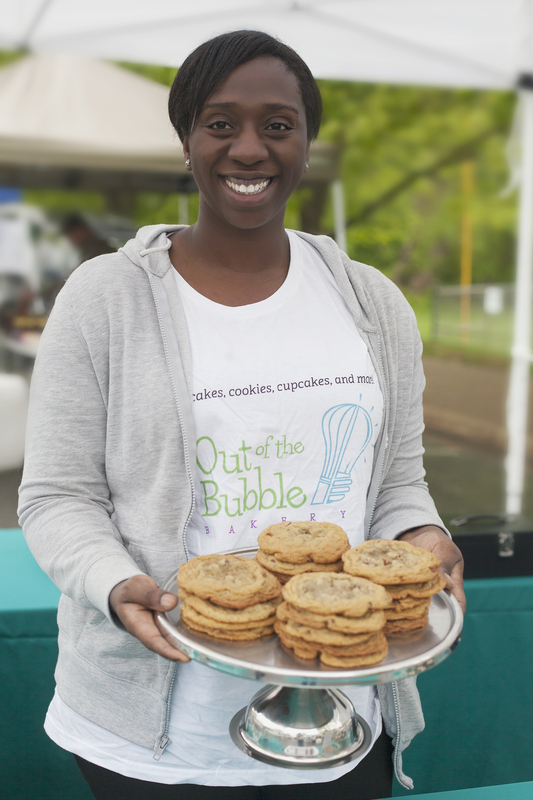 Her dream of opening up a bakery, or maybe even a food truck, motivated her to come to the market. She wanted to hear from customers, talk to them about what they needed, what they liked, why they came back. She wants to educate all consumers about the importance of “mindful dieting” and the extreme need for a more allergy-friendly foods world. In her experience, a lot of people think of “gluten-free” as a trend or don’t take “food allergies and sensitivities” seriously. She belongs to numerous organizations whose goals are to instruct and teach awareness surrounding these issues. 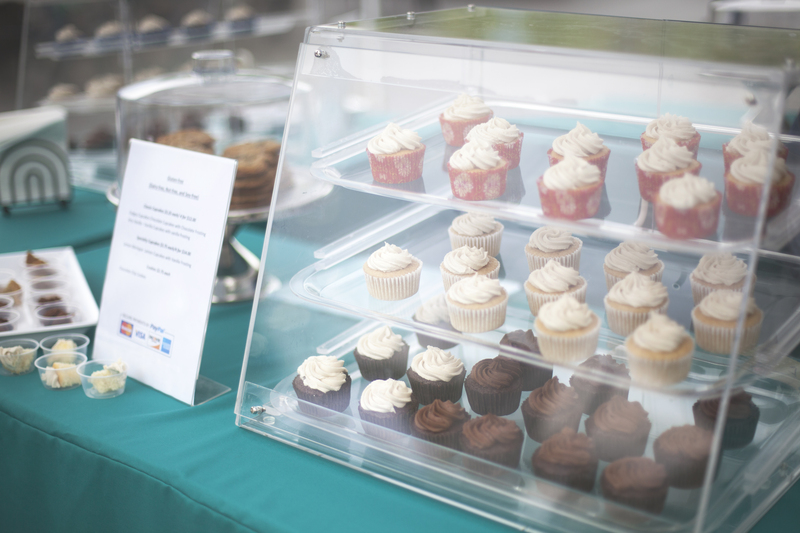 Since coming to Mosaic at the beginning of the market season, TaMeisha and her sister have been supplying patrons with scones, muffins, cookies, bundt cakes, pies, and they have at least four cupcake flavors that they rotate at the markets. They love to receive feedback from their customers and they use that as motivation to create new flavors. This weekend (October 19), they will bring pumpkin bread, oatmeal cranberry cookies, mocha, vanilla chai, pumpkin spice and carrot ginger cupcakes- all either gluten-free, vegan, or both! Their products are also dairy and nut free. So stop by the Out of the Bubble stand at Mosaic! Even if you have no food sensitivities or allergies, I promise you will be blown away by TaMeisha’s ability to make such tasty treats! Chances are if you’ve been to one of the Central Farm Markets, you’ve noticed the Twin Springs tents. It’s one of the biggest vendors we have, both in terms of space they take up and the sheer size of their operation. It takes at least 6 tents put together to harbor their product, as they sell everything from corn, squash and celery to berries, peaches, and a wide variety of apples. There are always quite a few people running the show, but if you’ve visited the Pike or Mosaic Markets, you’ve probably run into Jesse King- a tall, scruffy-looking fellow who was lucky enough to have grown up in the world of Twin Springs. Twin Springs Fruit Farm is located near the town of Orrtanna, right outside of Gettysburg, PA. 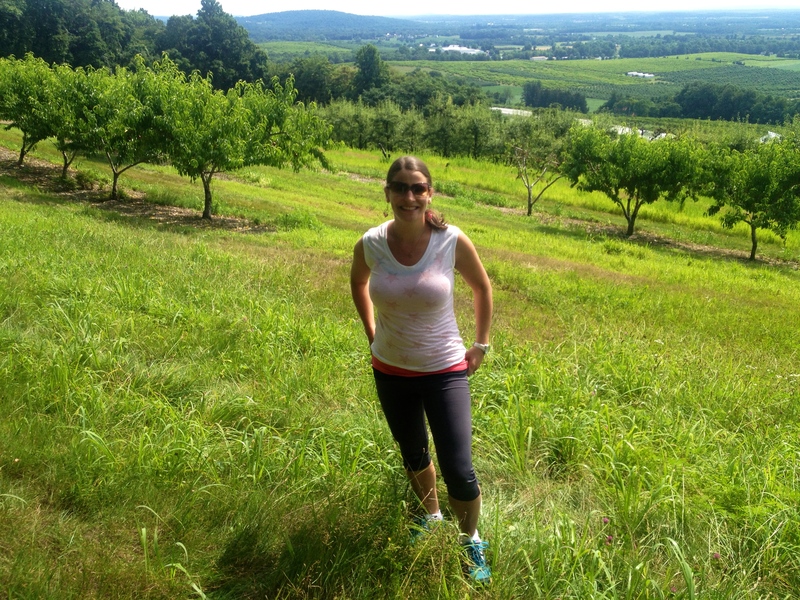 The farm sits on 75 acres, and they also rent an additional 20 acres from a neighboring farm. Jesse’s dad, Aubrey King, started the farm, coming from no real farming background, with two other partners in 1978. In the beginning, they were focusing solely on apples and peaches, selling them in bags at their first farm market at the old Redskins stadium. 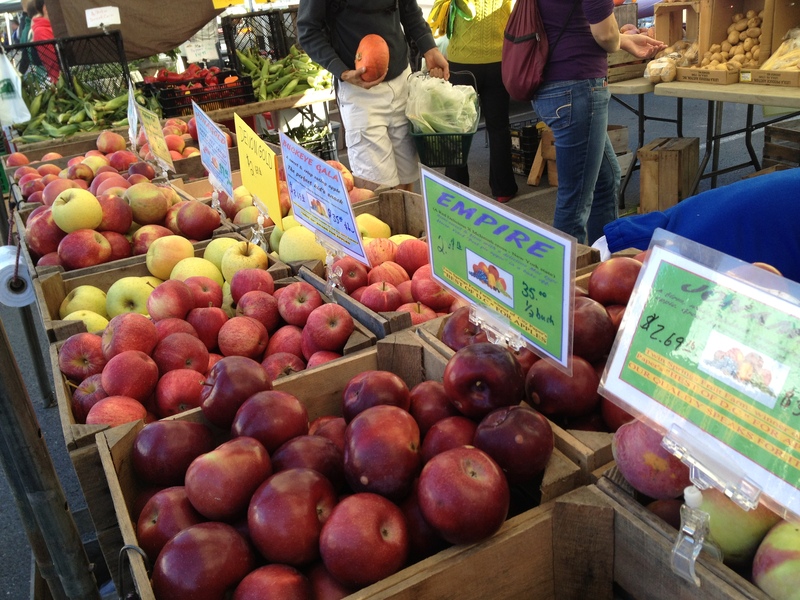 Their next market, in Takoma Park, is the longest running farm market in the area. They still sell their product there to this day. According to Jesse though, the Central Farm Markets are quickly becoming one of their highest grossing markets! It’s clear to see why; people are so impressed with the quality and variety of their product, they keep coming back, week after week! Twin Springs is one of the few farm vendors we have that also hold stand-alone markets during the week. 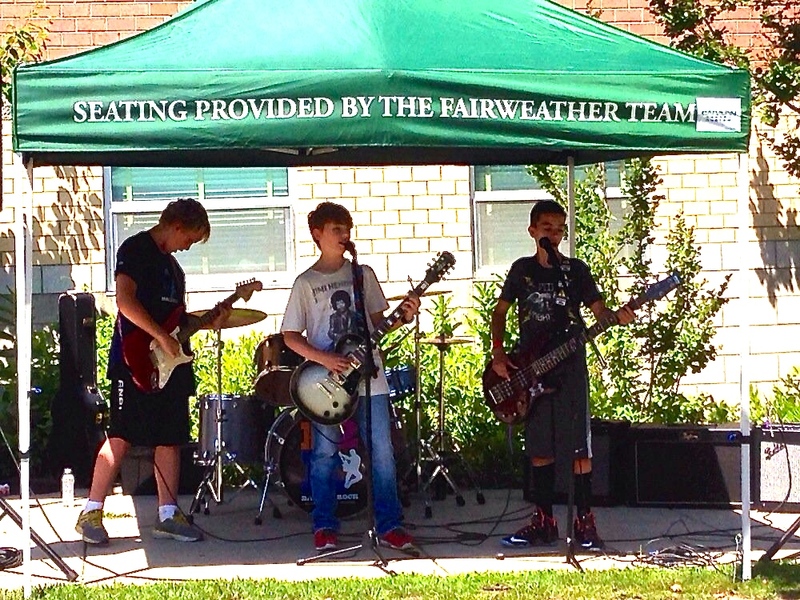 They do 18 markets during the summer and 8 year-round, including our Bethesda Market! There are a couple new things going on at the farm these days. Along with the other 4 greenhouses they have, Jesse and his helper built a new one last September. There is now automated shading in all of their greenhouses, allowing the proper amount of sunlight in as needed. They also now have something called a Biomass Burner. 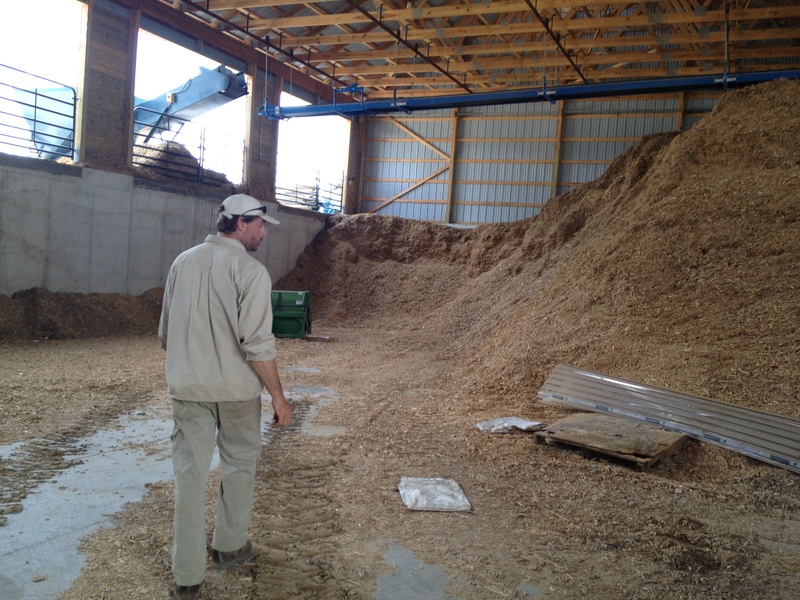 It is a gigantic machine that takes up two huge buildings on the farm and it burns construction waste and wood chips to create energy. Jesse estimates that they will burn 700 tons, enough for all five greenhouses for the whole winter. It’s considered carbon neutral. When considering the change from coal, which they used to burn to heat the greenhouses, it is the equivalent to taking 170 midsize cars off the road in terms of emissions! It’s so efficient that the farm is exempt from any EPA regulations in terms of the emissions. This is a huge deal for a farm of this size and Jesse is very proud to be a part of bringing it to Twin Springs. More news from the farm: starting this week (October 11 and 12), Twin Springs will be bringing back a favorite product to the markets! 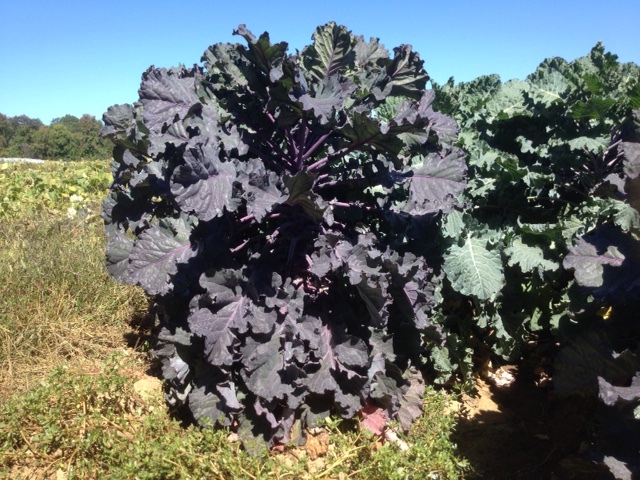 Kaleidoscope Greens, a cross between Brussels sprouts and kale, will be available at all three Central Farm Market locations. These greens grow on tall, upright plants just like Brussels sprouts, but unlike the sprouts, the florets remain open and vaguely resemble kale. Even though they are a cross between two slightly bitter vegetables, Kaleidoscope greens are tender and mildly flavored. They are delicious when sautéed briefly in a hot pan with olive oil and garlic, or chopped up fine and eaten raw. Not to mention the fact that they are beautiful and full of nutrients! 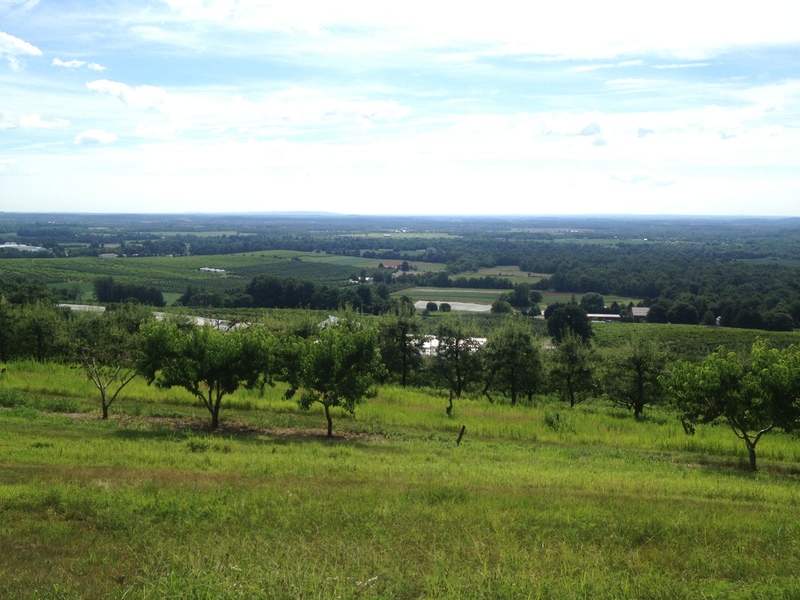 So stop by any of our markets and check out the amazing things that Twin Springs Fruit Farm has to offer. Any time of the year, you can find high-quality produce, helpful staff, and enough choices to make your head spin! Make sure you say “hi” to Jesse and any of his incredibly hard-working helpers- his buddy Rhett is at Rockville and Bethesda every week and he’s a riot! And don’t forget to try the Kaleidoscope greens! I’m dying to know what you think of them! 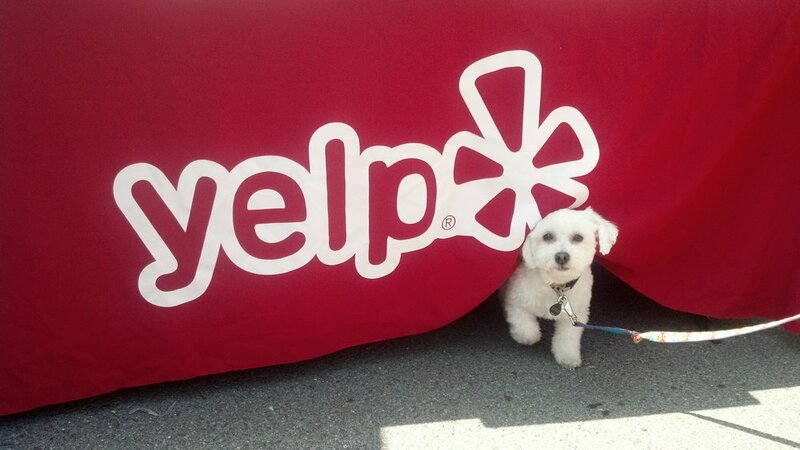 This post is written by friend of mine, Mike Bishop, who works for Yelp. I loved the idea the minute he pitched it to me – what better way to spread knowledge about Central Farm Markets than by sharing what the patrons have said? 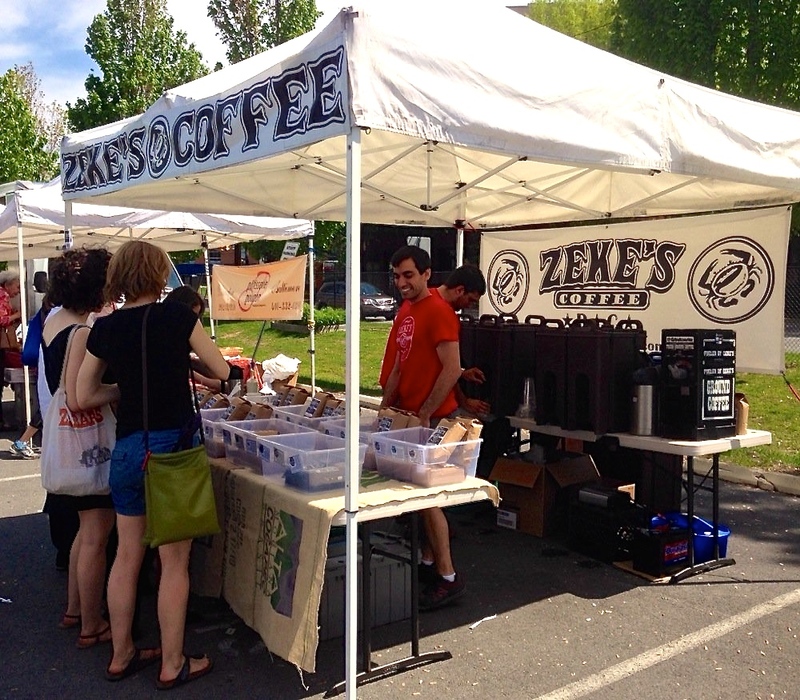 7 Central Farm Market Trends People Are Yelping About! Patisserie Poupon: French pastries make life a lot-a-bit sweeter. 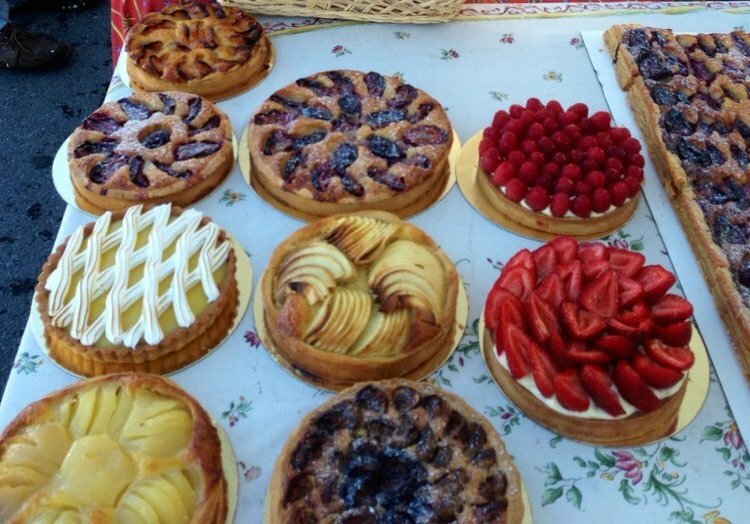 Tanya B Yelps: “I love getting there early and grabbing a pastry from Patisserie Poupon (these guys are the real deal for authentic French pastries). 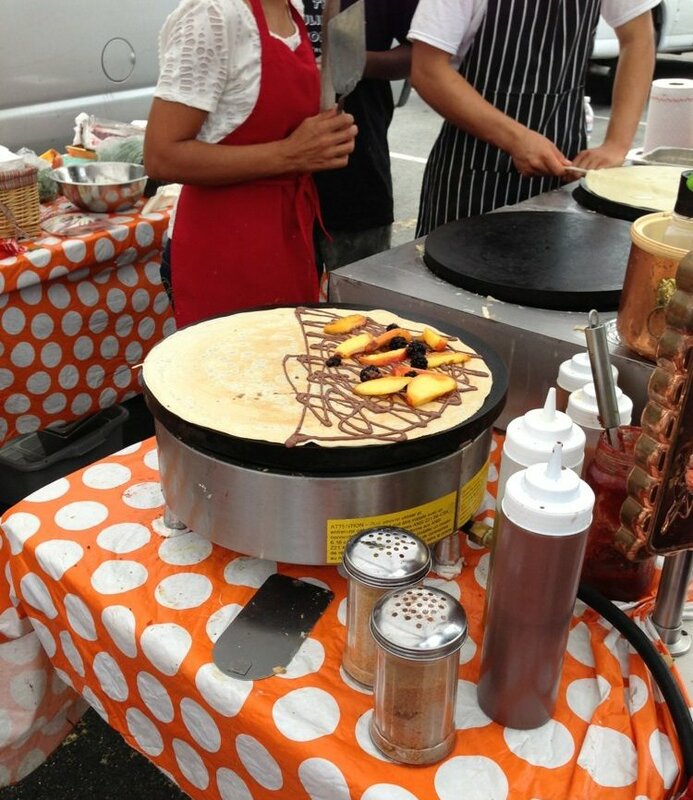 The Prepared Food: You can have your crepe and eat it too: “If you get hungry there is a crepe stand, food trucks and sausages hot off the grill.” informs Susan G.
Zeke’s Coffee: They’ll leave the pot on for ya! “Among our favorites were the Zeke’s Coffee…” points out Vishal S.
We encourage all of our patrons to join the Yelp community. It is a great way to tell others about your experiences and find out what friends are saying, doing, and buying at the markets. As a pastry chef, the most interesting thing that I learned from visiting Steffanie Housman of Old Town Suds was how similar the processes of baking and soap-making are. Watching her work, I was amazed to find that we use many of the same techniques and tools to create our products. It was amazing to watch Steffanie measure and mix her ingredients, check the temperatures and blend and scrape her way through a soap recipe. Just as in baking, she needs to follow a meticulous, very precise process in order to make sure the soap comes out just the way she likes it. And when she does, she creates an amazing, beautiful product that she sells at the Mosaic Central Farm Market. It all started a few years ago. In January 2011, Steffanie was diagnosed with Chiari, a brain malformation where your brain doesn’t fit in your skull so it pushes its way out into your spinal cord. That then turns into Syringomyelia, or cysts inside your spinal cord. By March 2011 she was at Hopkins in Baltimore having brain surgery. The surgery was considered a treatment to help slow the progression of the Chiari symptoms. By mid-April, less than a month after the surgery, Steffanie was bored sitting at home. The holiday presents were over. Daytime TV was boring and she still had two more months at home before she could return to work. A close friend who was doing research at a national laboratory told her about all the nasty chemicals that were harming red blood cells. That got Steffanie thinking and she started researching cleaning products, soaps and everything that she used on a day-to-day basis. She began to wonder if these chemicals caused her brain/skull defect, and questioned if they could be causing harm now. It was then that Steffanie decided to start making her own soap. 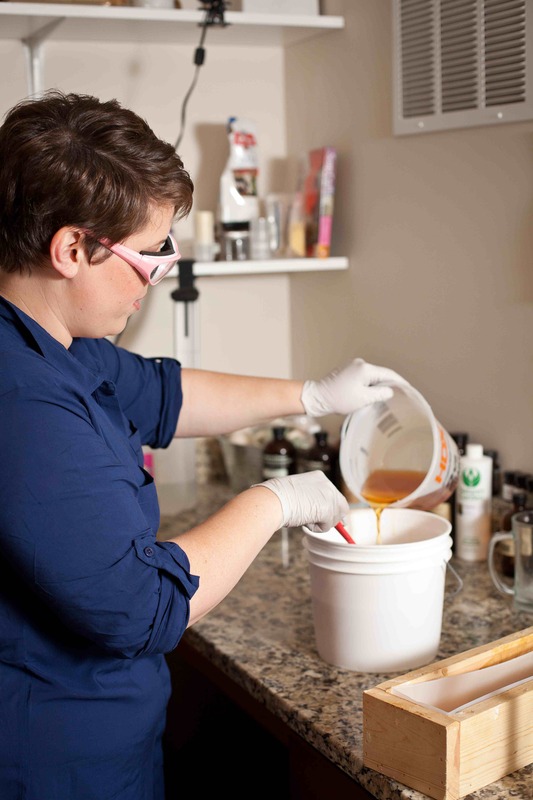 She began by researching soap making methods on YouTube and then started taking classes to learn about saponification, the process of using lye to turn oils into soap. 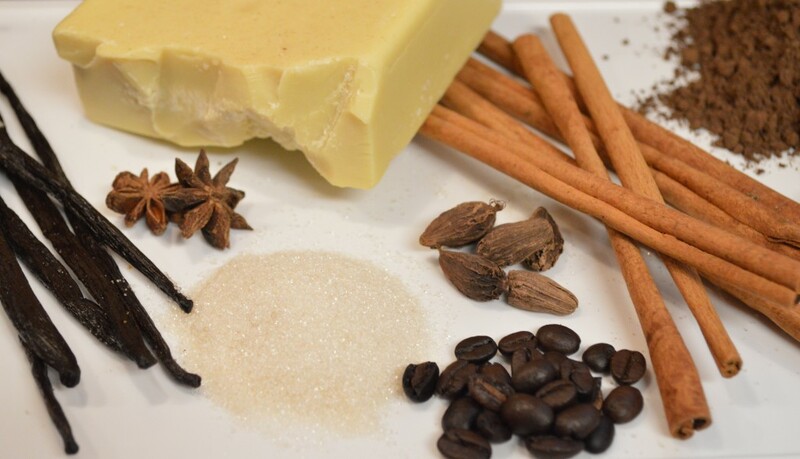 Steffanie uses 8 different oils in her soap: rice bran, canola, almond, avocado, coconut, caster, shea butter and olive oil. All of her ingredients are technically edible, which is one of the reasons she can call her product all-natural. 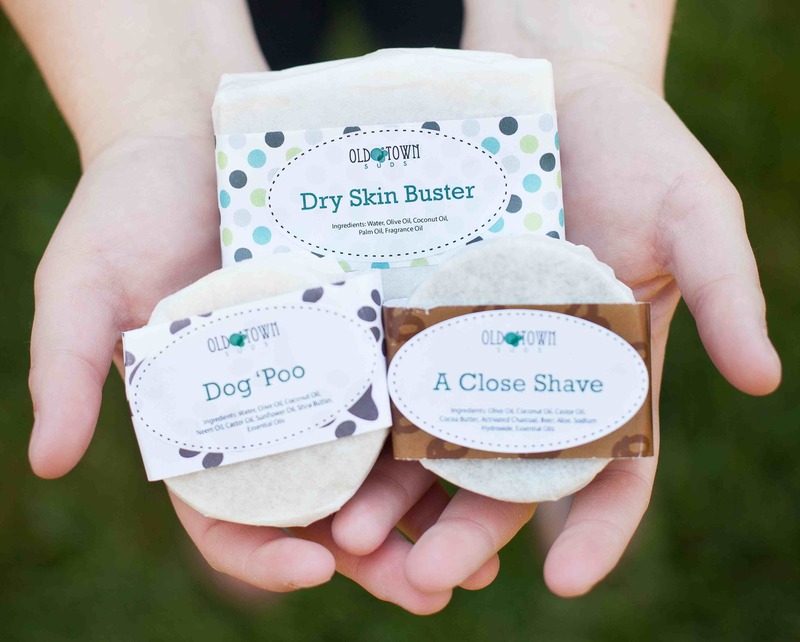 In her soaps, she also uses beer, goat’s milk, avocado, blood orange juice and wine to name a few! Steffanie also makes face wash, shampoo, lip balm, yoga mat cleaner, bug spray and laundry detergent. The laundry detergent was one of the first products Steffanie made. It was mainly for her use, as she had some allergic reactions to store-bought detergent, but it became so popular with her friends, that she started selling it. And that’s how Old Town Suds got its start! 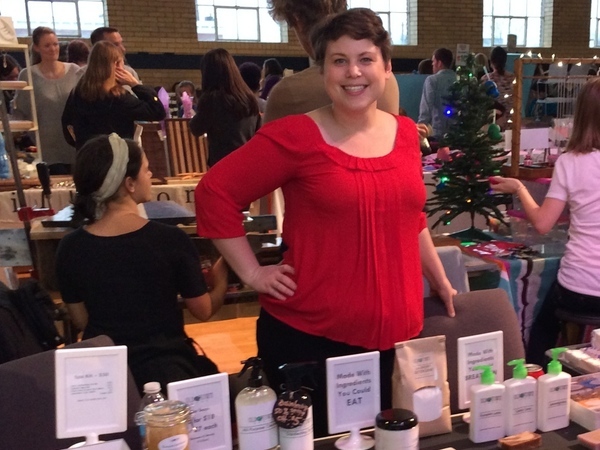 Now Steffanie sells her products at a few markets in her area, including our own Mosaic Market, as well as participating in local craft fairs and conventions. 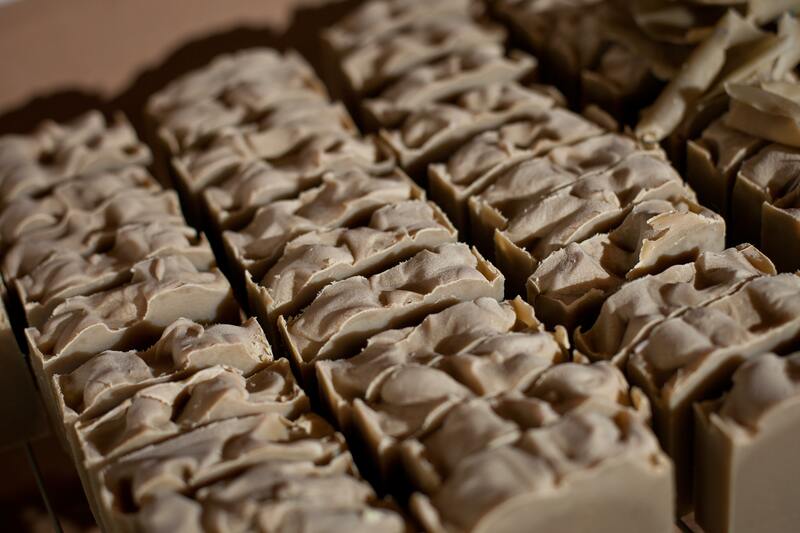 Stop by the Mosaic Central Farm Market and take a moment to smell the delicious soaps that Steffanie makes. Some of her flavors are Blood Orange, Dirty Mojito, Japanese Citrus, Milk and Honey, and Peppermint Surprise. 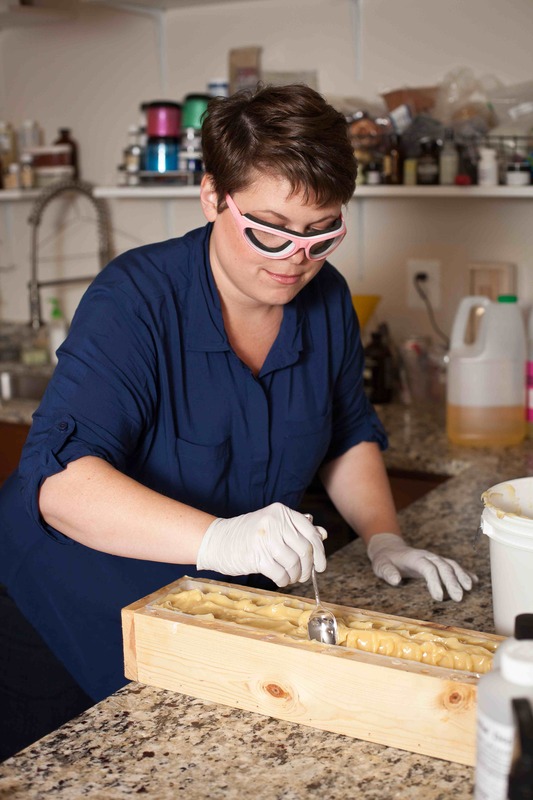 Steffanie has also done some soap-making classes out of her basement soap-lab. Drop by her stand and talk to her about her product, ask her about her classes, and you will get some really interesting information about the soap-making process. She’s more than willing to share her knowledge and passion with you! 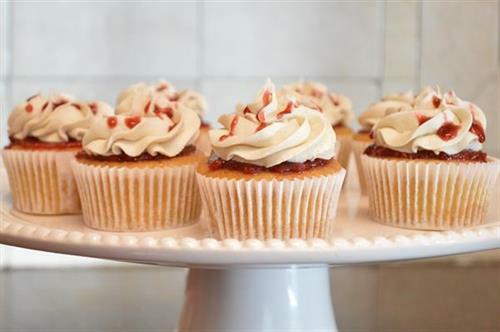 And you will love taking home one of her delicious products. In fact, they make great gifts, so if you are starting your shopping early this year, you won’t want to miss Old Town Suds! 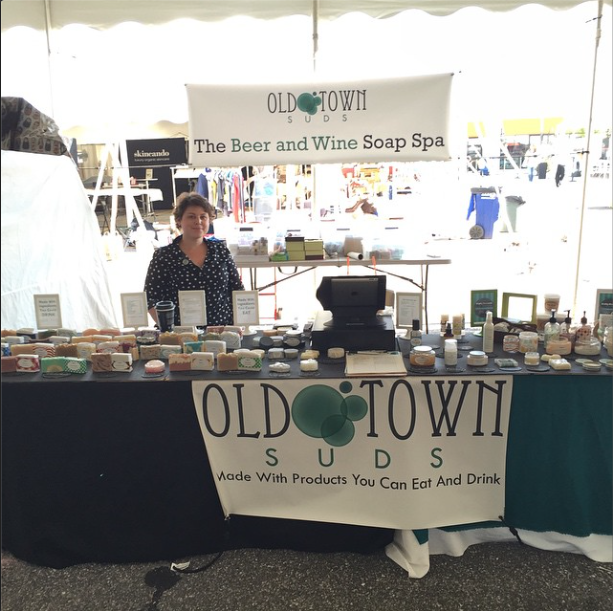 Connect with Old Town Suds online – like them on Facebook and follow them on Instagram!